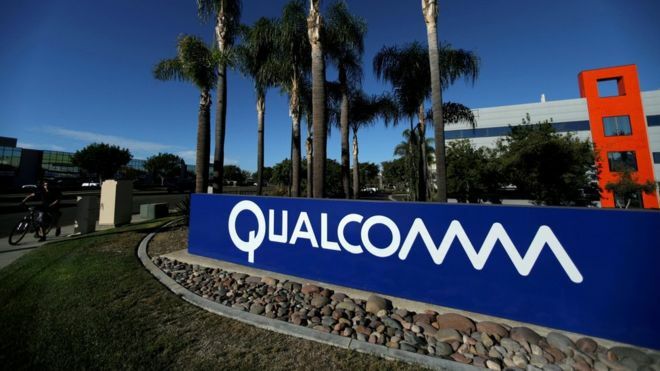 US chipmaker Qualcomm has accused Apple of sharing its technology with rival suppliers including Intel in a theft intended to improve the performance of non-Qualcomm chips. The complaint, made in a filing in a Californian court, marks the latest clash between the two firms. Apple has separately accused Qualcomm of abusing its market dominance in microchips. Its objections centre around the fees charged by Qualcomm for its technology. For years, Qualcomm supplied Apple with items such as processors for its iPhones and other hardware, but iPhone maker has favoured Intel more recently. In the new court filing, Qualcomm said Apple engineers supplied Intel staff with Qualcomm's confidential source code with the aim of improving the performance of Intel chips, despite a contract intended to restrict access to the technology. Qualcomm alleged the move was part of an "intricate plan" developed by Apple over several years, with the aim of cutting costs and increasing its leverage over Qualcomm. The breach has caused damages "including, but not limited to lost profits", while "unjustly" enriching Apple, the filing says.